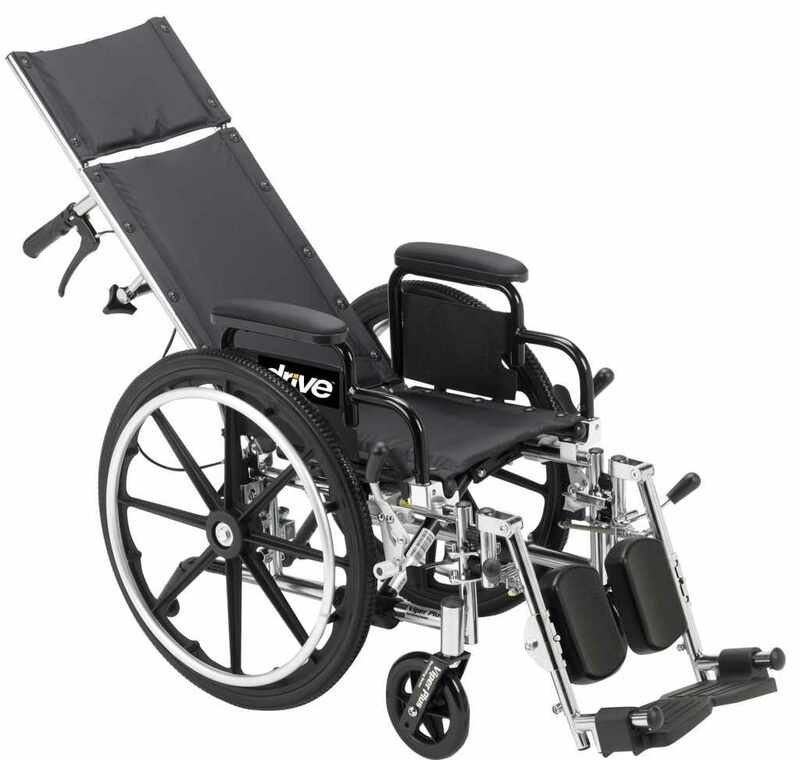 Drive Medical pediatric viper plus reclining wheelchair accommodates users with limited hip flexion, allowing for gravity-assisted positioning for improved visual orientation, speech and swallowing and aids with bowel and bladder management. 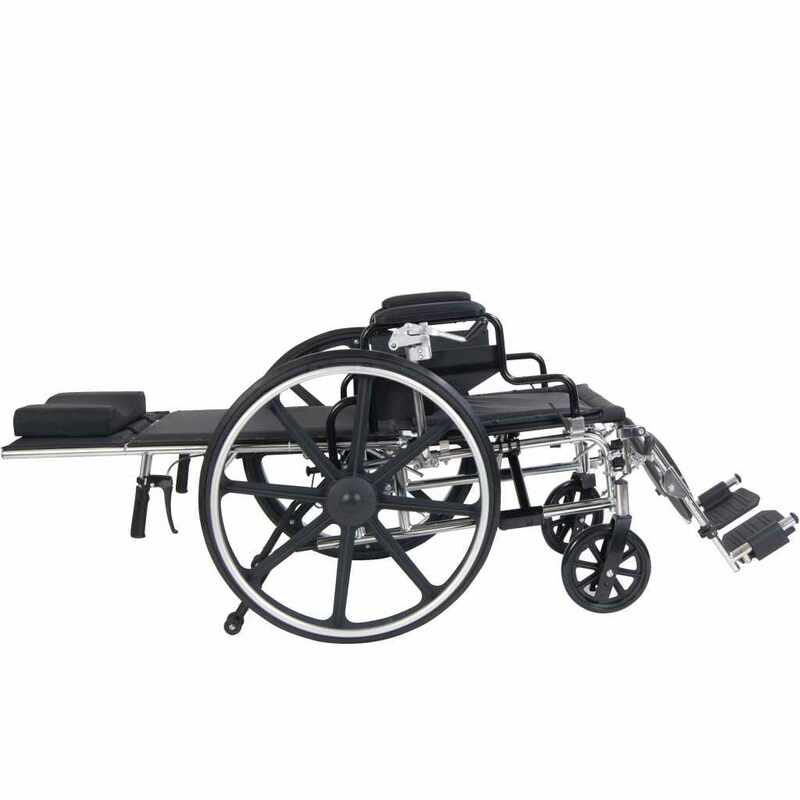 The frame of reclining wheelchair is made from double-coated chrome carbon steel for maximum durability. 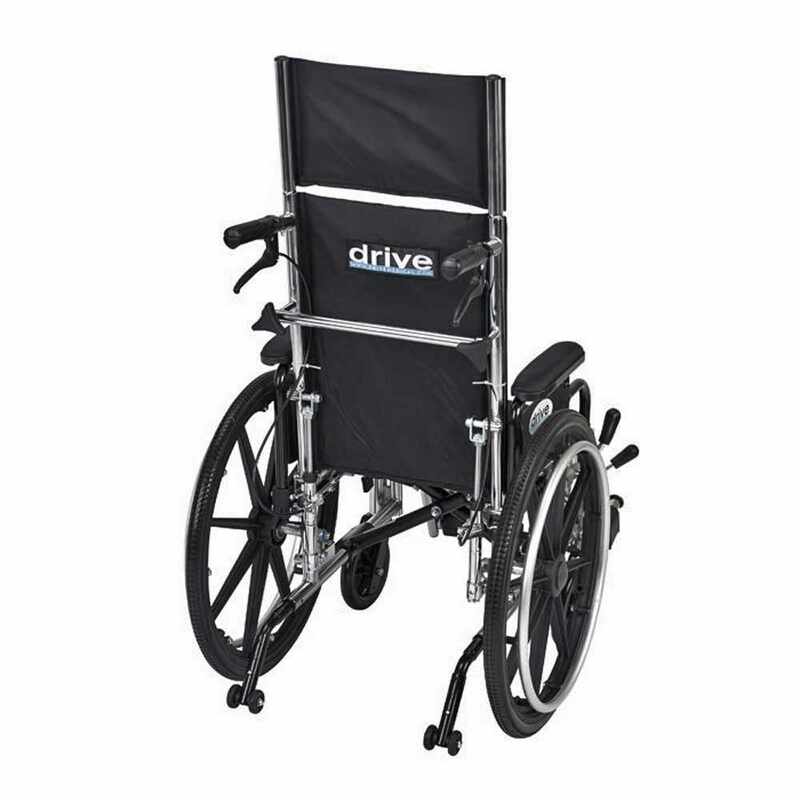 It features lightweight 24” Mag-style rear wheels with urethane tires and 6” front rubber tires. 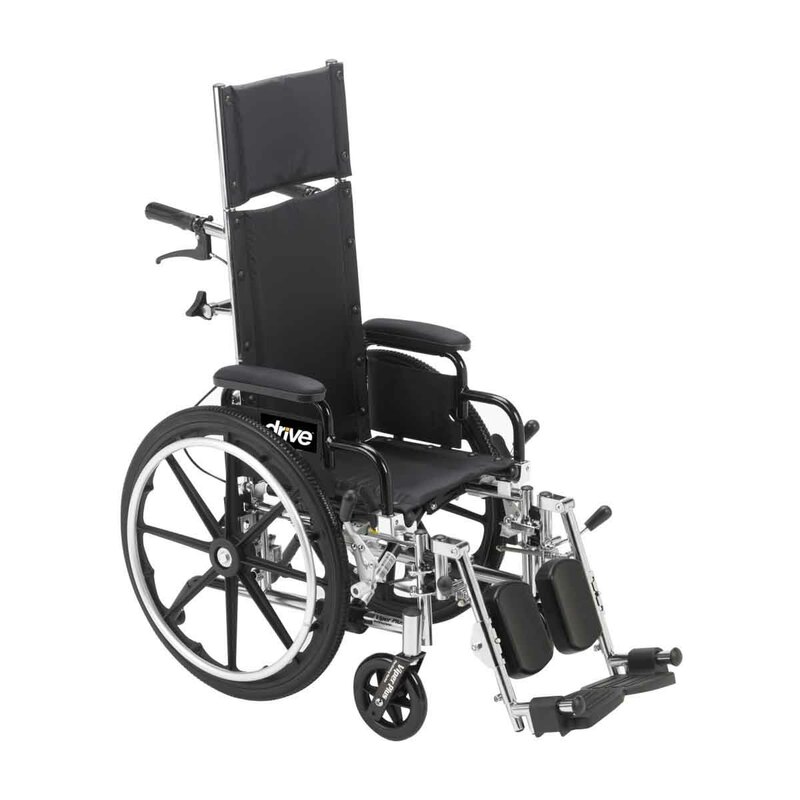 The offset rear wheel position provides additional stability and evenly distributes weight of user in all reclining positions. 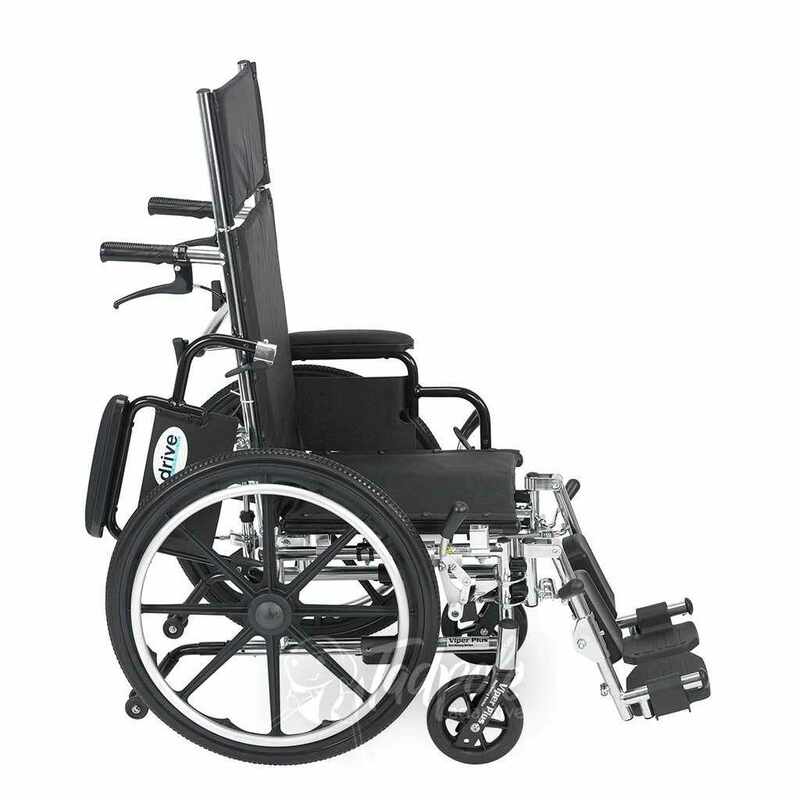 The wheelchair comes standard with height adjustable swing-away elevating leg rests and the standard dual axle provides easy transition of seat to hemi-level. The spreader bar functions as a back stabilizer and a push handle for caregiver. Overall width (open) 20" 22.5"
Overall width (folded) 13" 13.5"
Product weight 42 lbs. 43 lbs. Shipping weight 48 lbs. 49 lbs.